Crews come up hugging the north shore of the ship canal. The warm-up pattern runs counter-clockwise around the buoys. Crews must be at the staging area 4 minutes before their start time. Crews should line up in order of bow number. Take care not to block the warm-up pattern. A course marshal will call crews in pairs in order out of the staging area. Cox’ns and scullers must keep 15 seconds between boats. A second course marshal will instruct your boat to proceed and then to increase the pressure 100m before the start. To enter the warm-up pattern at the start, hug the north shore of Lake Union. Be mindful of other crews in the ship canal. It is narrow so hug the shore. 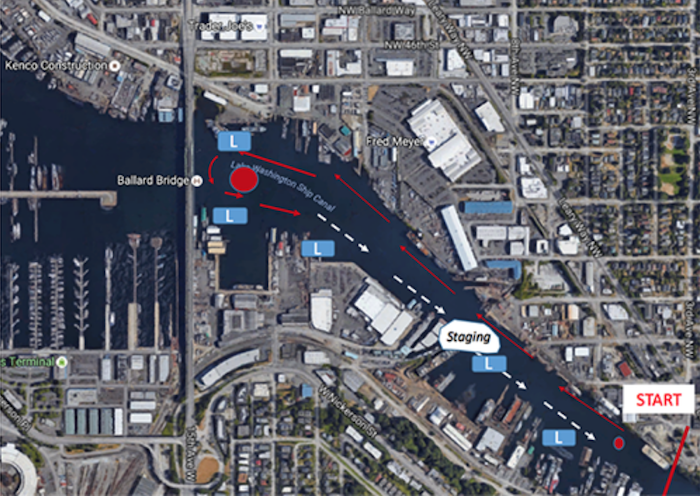 Passing IS allowed on the race course in the ship canal. First Aid: Should there be a need for First Aid, please report to Regatta headquarters at the Pocock Rowing Center or dock masters at official launch sites. Bow Balls: Each rowing shell must have an intact bow ball, bow clip and heel ties where applicable. Regatta Safety Plan: Download a copy of the RFTC Safety Plan for your own reference. RFTC 2019 will use handicaps patterned after the same system used by Head of the Lake as published by USRowing. This is a change from last year's system based on handicaps published by British Rowing. The cause for change is based on RFTC migration to a timing system consistent with HOTL. RFTC apologizes in advance for any inconvenience in the transition and is prepared to accommodate necessary changes. Thank you for your flexibility and support in improvements to our overall timing system. You may view RFTC's handicaps HERE. 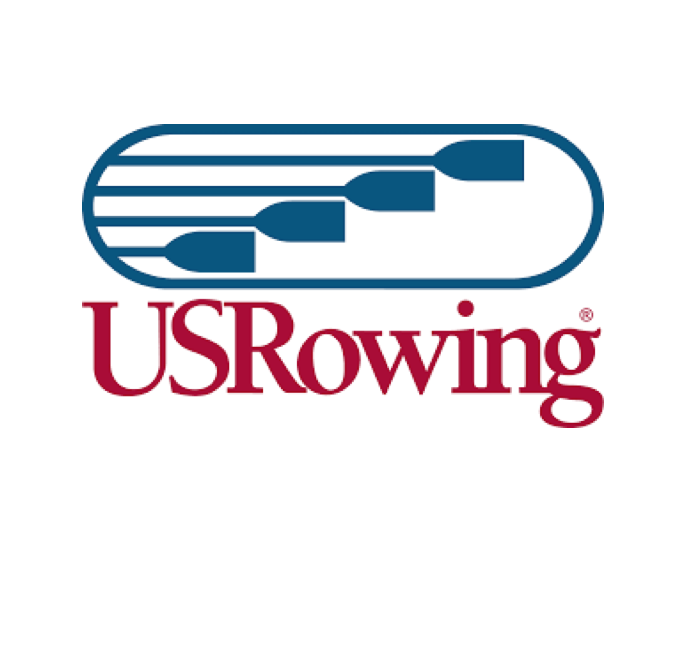 All participants, including coxswains, must have an active USRowing membership and have signed the waiver before racing. All waivers must be completed electronically and complete prior to Wednesday September 12, 2018. Crews will not be allowed to race without waivers for each athlete. RFTC Results will be posted online on Regatta Central. Pick up your medals and ribbons at Gas Works Parks following the regatta. Join us there for food, warm coffee, our Pink Erg fundraising celebration and more!